We empower you to control the implementation risks of business software projects by using our powerful software generator. 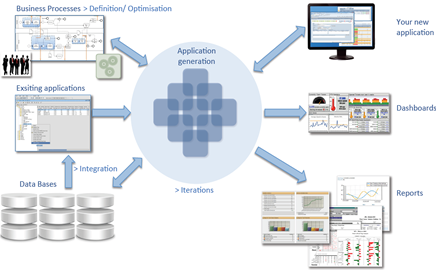 Develop business applications in record time, with low costs and improved quality. Generate automatically more than 96% of the software code directly from business models. Design declaratively the prototype layouts and workflows without help from IT department. VBO-Services is a professional software development company located in Frankfurt am Main, Germany. The company begun in 2005 with one man’s dream to create tools and methods for generating the business applications automatically. Our engineers combine their profound knowledge, skills and technical expertise with capability of in-depth analysis, design, and implementation of projects of any complexity. While the size of the staff, offerings and clients have grown, one thing remains constant: we are a trusted, experienced, reliable and knowledgeable partner. Our company is a pioneer of automated software generation solutions and offers the market leading tool in this area: SW-ProPlatform. 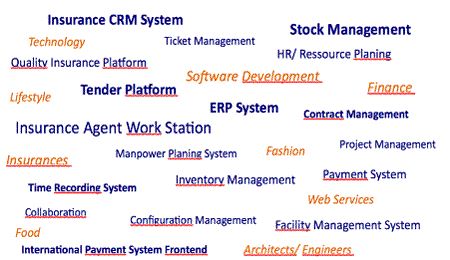 Using this platform, we provide fully customized solutions in the enterprise business applications area. We assign teams to every project we take on, which allows us to handle software projects of all sizes and a wide range of budgets. If you have a software project in your business plans, please give us a call to see how we can work together. We work in all types of industries, including finance, insurances and technology. We combine tested standard business processes, automated code generation and open target architectures in conjunction with a proven development process to ensure the software project success from the beginning. 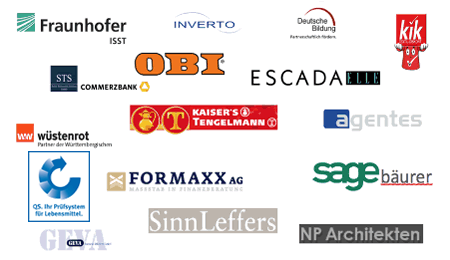 Many of the German’s most prominent corporations depend on enterprise applications developed by VBO-Services. Through the separation of business knowledge and technology your company do not need to build extensive technical know-how to create business applications. VBO-Services is now part of Plönzke Network ! Is automatic generation of software products a dream or reality? Learn how CFOs and CIOs control the risks of implementing software projects.